Garment Types: Printed shirt deals are available in four styles of Gildan t-shirt. All of which are 100% cotton* but vary in weights. This deal is for a one colour print. As the diagram shows, this is a coloured print on a white t-shirt or a white print on a dark t-shirt. 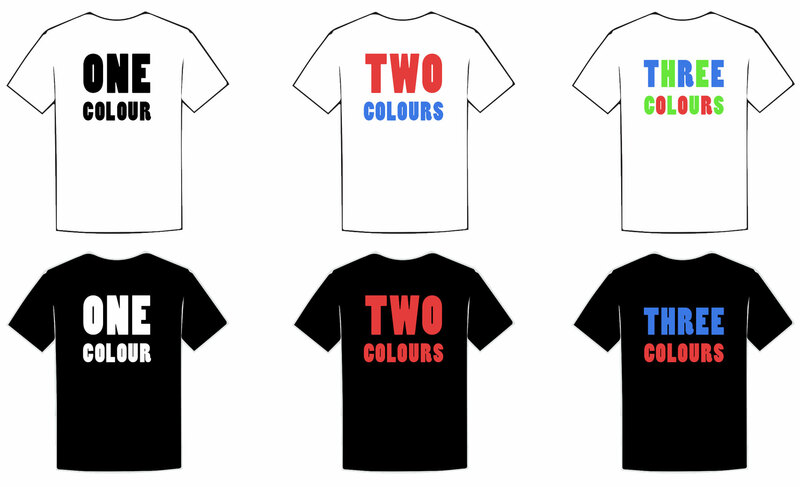 A coloured print on a dark t-shirt would be two colours as a white under base is needed.